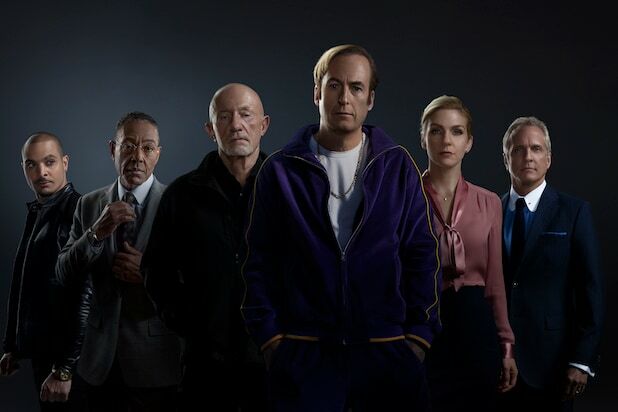 “Better Call Saul” was not created by lawyers, but it’s about lawyers and therefore a huge amount of the plot revolves around the intricacies of the legal profession and how Jimmy McGill (Bob Odenkirk) navigates his path toward becoming the crooked Saul Goodman. So how realistic is the jargon used and the plot points crafted by co-creators Vince Gilligan and Peter Gould? Actually, it’s pretty spot on, according to Los Angeles-based entertainment lawyer Rick Zou, who sat down with TheWrap to pick apart the AMC series ahead of its Season 4 premiere. The two topics we focused on were illegal recording and extortion, showing Zou clips from the series in which Jimmy confesses to a crime to his brother Chuck (Michael McKean), only to find out he’s being taped, and one where Jimmy uses some big, fancy legal words to try to persuade his community service supervisor into letting him out early. In “Better Call Saul”s fourth season, Chuck’s death catalyzes Jimmy McGill’s transformation into Saul Goodman. In the wake of his loss, Jimmy takes steps into the criminal world that will put his future as a lawyer – and his relationship with Kim (Rhea Seehorn) – in jeopardy. Chuck’s death deeply affects former colleagues Howard (Patrick Fabian) and Kim as well, putting the two of them once again on opposite sides of a battle sparked by the Brothers McGill. Meanwhile, Mike Ehrmantraut takes a more active role as Madrigal Electromotive’s newest (and most thorough) security consultant. It’s a volatile time to be in Gus Fring’s employ, as Hector’s collapse sends shock waves throughout the Albuquerque underworld and throws the cartel into chaos — tearing apart both Gus and Nacho’s (Michael Mando) well-laid plans. While Gus changes course, Nacho finds himself in the crosshairs of deadly forces. “Better Call Saul” Season 4 premieres Monday, Aug. 6 at 9/8 c on AMC.